POOL OPENS MAY 30TH FOR SUMMER 2018! SPRING IS THE THING! the time for renewal! 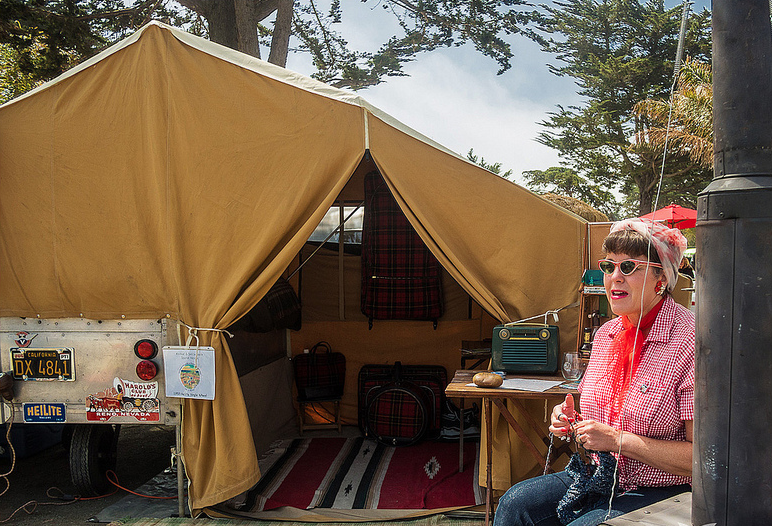 and when you own a vintage trailer, it's this time when you spruce things up! that means de-mousing, window washing, fluffing and restocking the pantry with fresh can goods. what a wonderful time. usually these duties fall upon the AVID CAMPER in the family... the one who does most of the heavy lifting to get the rest of the family out into the wilderness. it is a lofty goal, and one worth every bit of effort. in my case, i am that person. getting everything so clean and magical that when friend and family show up next week-end or when ever, they are like "wow! this is so cute!" and imagine that this is the way the trailer ALWAYS looks. I like to let them think so. 1- the sooner you clean it, the sooner you use it. 2- getting the biggest chunk done in one spring cleaning means simple up~keep for the rest of the summer. 3- if you keep your trailer in a park somewhere (like pincecrestretreat.com) you also get to enjoy the spring flowers and some real solitude. 1- put like things in like places. organize. 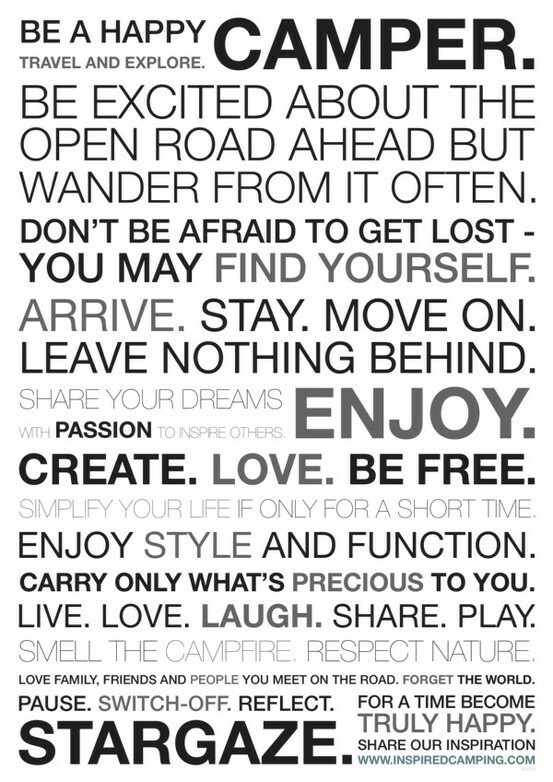 2- make it fun, stop for breaks, play music. 3- bring a friend. they'll have a good time and be more likely to com visit you later in the season and you can lament together over a drink by the campfire how how it was. 3- stock the bar with favorite wines, booze and mixers. 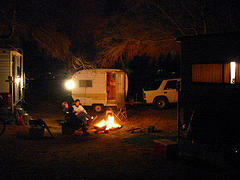 FINALLY: even though it my be a little chilly at night still, make your first campfire of the season and relax! you deserve it AVID CAMPER! The Pinecrest Newsletter is here! 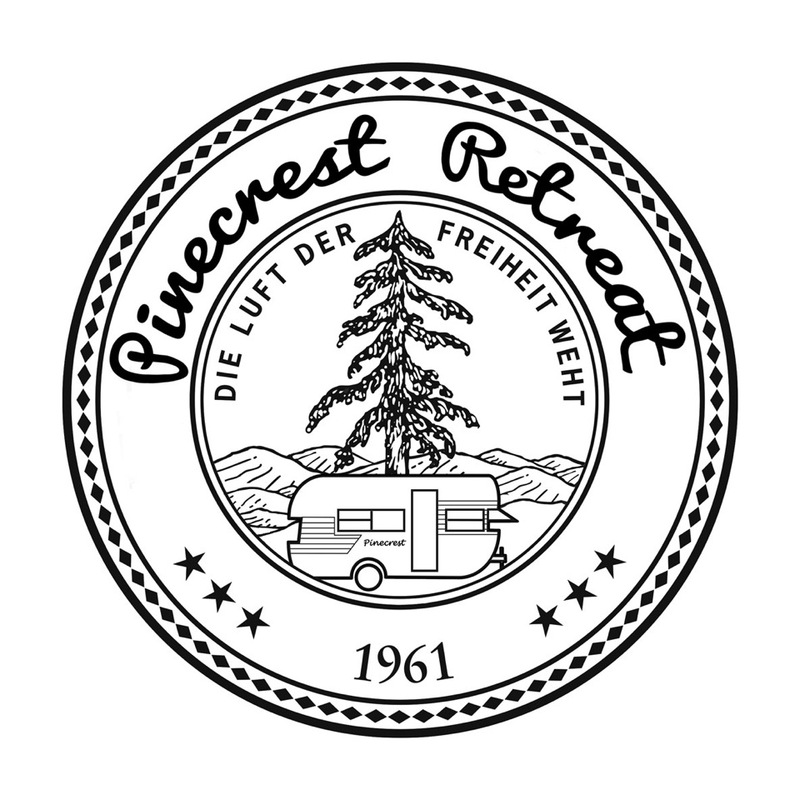 The latest issue of the Pinecrest Retreat Newsletter can be found here. A secret formula for joy by Amanda Gore, an amazing TED TALK. 1952 YELLOWSTONE to be Added to Rental Fleet! Let's look to AMERICANA to inform us about what builds community. Happy Halloween from Pinecrest Retreat! 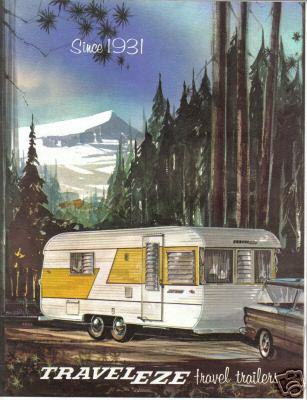 The Vintage Trailer Rentals at Pinecrest Retreat will be CLOSED FOR SEASON on November 1st. It's been another great year of meeting new people and sharing the Pinecrest Spirit. Thanks to all who joined us and shared your amazing selves with us. 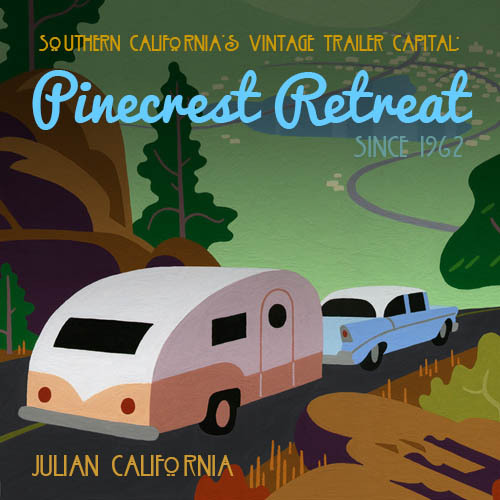 If you want to experience Pinecrest Retreat all year long, please consider finding the perfect vintage trailer you can call your own and become a site-member. It's a wonderful, growing community! IT'S BEEN A GREAT YEAR, BUT ALL GOOD THINGS MUST COME TO AN END: POOL CLOSED FOR THE SEASON. SEE YOU NEXT YEAR! Don't forget to dig out, dig up, buy, borrow, or steal some paper lanterns to hang at Pinecrest for Labor Day weekend! It's illumination night! THE SECRET INTERNATIONAL OUTDOOR ARTS & FILM FESTIVAL is a simple fest where friends new and old show recent films they have been involved in making. This is a fun festival, filmmakers are often on hand to mix with the crowd and with each other. Film submission cost $20. Admission to screenings is $10. Other events include yoga, pot-luck bbq and (of course) the pancake panel.